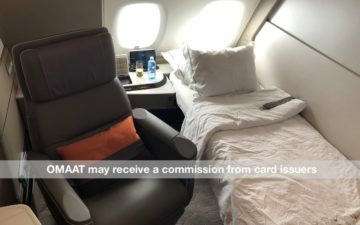 For years, if you wanted to earn American AAdvantage miles, then you were likely going to use one of the Starwood Preferred Guest cards from American Express. Sure, you could get bigger welcome bonuses with co-branded cards from Barclays or Citi, but the SPG cards were the best for everyday spending. With the MileUp card, you’ll earn 2X American AAdvantage miles per dollar on all grocery purchases. Now, Citi explicitly excludes purchases from superstores and wholesale/warehouse clubs. It also calls out candy stores. What a huge opportunity missed. As if I needed another reason to buy candy. The annual fee is $99 but is often waived your first year with the card. Additionally, you can expect to earn a sizeable welcome bonus. You can also expect to earn a solid welcome bonus when you open the card and, with the $99 annual fee waived the first year, you’ll have time to decide if it deserves a long-term spot in your wallet. If you regularly stay at Marriott and Starwood properties, the Marriott Bonvoy Business™ American Express® Card will earn 6X points per dollar on these bookings. While the AAdvantage® Aviator® Red World Elite Mastercard® from Barclays doesn’t have bonus categories beyond earning 2X on American flights, it’s super easy to earn the welcome bonus. If you need a big chunk of miles sooner rather than later, you’ll earn the welcome bonus after just one purchase. The annual fee is $95 and is not waived your first year with the card. You can also earn the welcome bonus on the AAdvantage® Aviator® Business Mastercard® after your first purchases with the card which makes it a solid option for business owners in need of a bunch of American miles. Citi limits you to one welcome bonus within a family of cards within 24 months of opening or closing a card. For the co-branded American cards, the Citi® / AAdvantage® Executive World Elite™ Mastercard® and the Citi® / AAdvantage® Platinum Select® World Elite™ Mastercard® are considered the be within the same family. Yes but the best card for earning AA miles on AA spend is Barclays Silver Aviator as it awards 3 AA miles per dollar. The miles have already devalued substantially. The Barclay Aviator Silver card gets 3 miles per dollar spent on AA if you have it. I use that for all AA spending. 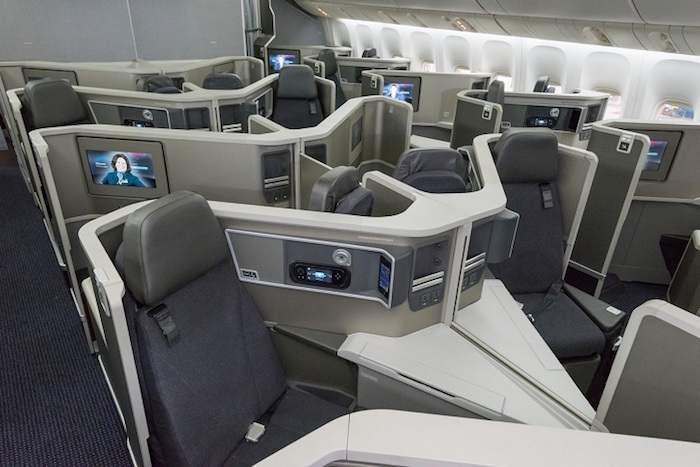 The best credit card for earning american miles is clearly the American branded card. For MOSTanyway and here is why. 10% refund on redeemed miles up to 10,000 back per year. You left out this CRITICAL benefit. PLUS 2.0 miles per dollar spent on American purchases. If I spend $8000 per year on air travel thats an extra 8,000 points! or 6,000 more than I would have earned with SPG. So if I redeem 100,000 miles plus spend $8,000 per year thats 18,000 miles back! You would have spend around $80,000 per year on your SPG card to get enough of the .25 bonus to make back the 18,000 easy extra miles you get on the American cards. How about the Chase Ink Plus Business rather than or in addition to Citi? Do you have, by any chance, an overview of cards in Europe which have the best terms? To get the main benefit of the SPG you have to spend $20k on it. No way Im spending $20k on it, why wouldnt I put that $20k on 3 or 4 sign up bonuses? I think the best cards are citi aa cards after first year. I’ve been able to get double mile retention bonus (spend $1k on anything and earn 1k bonus on top of regular earnings) on most of the cards. And you get 10k rebate for award. This ends up much better than spg or Barclay silver. Except that, the only time I ever needed to transfer SPG points to AA miles, they did not arrive in time for my 5-day hold. I had to buy the miles from AA and could not reverse the SPG transfer. YMMV. @ Stannis — The transfers seem to always leave SPG on Monday and are in the AAdvantage account by Tuesday night/Wednesday morning. We generally place the holds on Saturday to give ourselves enough time, but yeah — if you miss the Sunday night cutoff for transfers it can take a long time. I use the Silver Aviator Card as I can earn 10k Elite Miles which helps to my status with American. Is this the best card for that reason. @EricB @Jeff @Ian Well then, I’ll just go straight to the Barclay web site and apply for that silver aviator card right now today! Thanks for the useful advice. British Airways Visa offers a 50k avios points sign up bonus. Combine that with Amex Everyday Preferred which gives you a 50 percent points bonus every month if you charge 30 transactions. Transfer the amex points to Avios and then book your AA travel through BA as they are in same alliance. Ben, arent you a big fan of Amex Everyday? @Owen — sadly the Barclay AAdvantage cards are no longer available to new applicants; they stopped applications for those cards a few months back. 🙁 I applied just in time to take advantage of the 50k miles sign up bonus back in March. Question was not which credit card should I apply to today to earn AA miles. It was which CC is best for earning AA miles. Clearly it is silver aviator for AA spend. Can you sign up for both the Barclay Aviator Red personal AND the Barclay Aviator business? Or is there some sort of restrictions? @EricB You should have prefaced your post with @Owen…..
@Daniel I have both (well, actually I have the Aviator Silver card). As long as you can qualify for a a business card you can have both. @Daniel I will say that getting the Barclay Aviator Business card was the most difficult. I have had several Citi AAdvantage Business cards over the years (solely for the sign up bonus) and was always instantly approved. For the Barclay Aviator Business card I had to fax in my Schedule C for proof of business (I own several rental properties) and it took 3 weeks to get approved. @Ed. C. So odd. I actually found the Barclay Aviator Biz card so easy to get. I used personal income, etc and they didn’t ask to verify anything. Also, similar to the personal Barclay AA card, I got a really good limit. It is really good bt I think the best cards are Citi aa cards after the first year. I’ve been able to get double mile retention bonus (spend $1k on anything and earn 1k bonus on top of regular earnings) on most of the cards. And you get a 10k rebate for the award. This ends up much better than SPG or Barclay silver. @Robert Brown The Barclay cards, including the Aviator Silver card, get the 10% mile rebate up to 10,000 AAdvantage miles per year just like the Citi cards do. Plus, for spending on AA with the Aviator Silver card you get 3X miles per dollar spent instead of 2X with the Citi card. Spencer you start the post talking about how SPG used to be good for everyday spend, but then you never mention what the new best card for everyday spend is? @G Singh – With the earn rate deval of the SPG cards, there isn’t a great option for unbonused spend if you want AA miles. 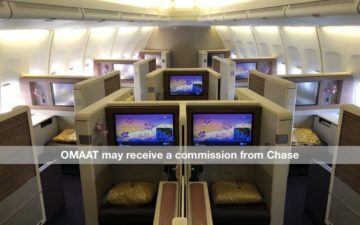 As discussed in the post, there are some ways to earn 2x on a number of categories now if you need AA miles but unbonused spend is going to be weak.